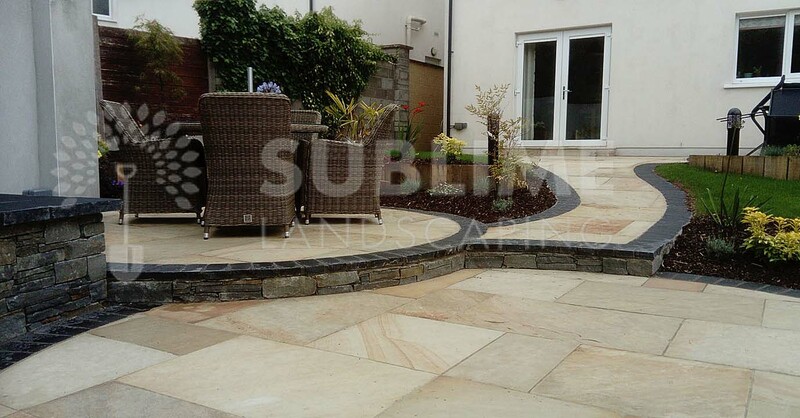 Sublime Landscaping offer customers in Cork as part of our business a full range of available natural paving products for their landscaping projects whether it be traditional, contemporary, commercial or modern, particular types of paving & stone combinations can control the overall feel of a surface within your Landscaping project. Also depending on the performance requirements of the paving product, some are more suited to commercial or residential situations. Some of the most popular products for natural paving include, limestone, sandstone, granite, and marble. Some are more suited to foot traffic, compared to others, which may be more suited towards driveways. 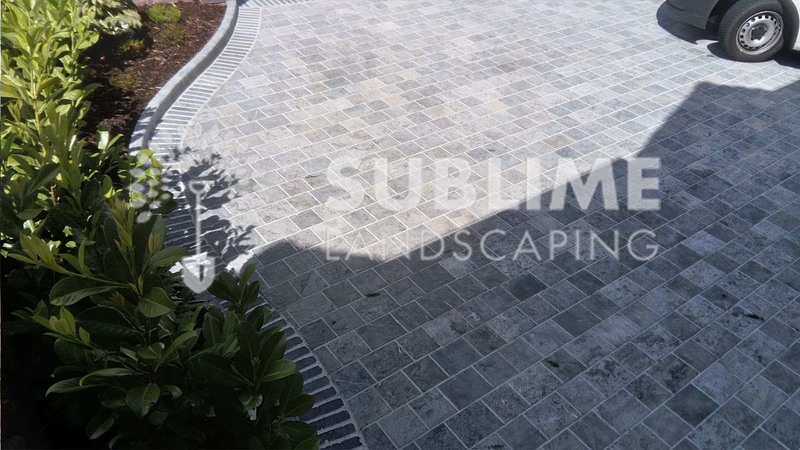 Sublime landscaping will suggest the most suitable paving product and design for your home or business depending on available budgets, design style and degree of durability required. Generally most natural paving products will be flood grouted regardless, concrete based paving will be sanded in general.